Reduces the volume of generators to 10%, 25%, or 50% of normal volume. DO NOT USE Quieter Generator Sounds. Please use the mod above. Quieter Generator Sounds reduces the volume of generators to 10%, 25%, or 50% of their original volume. I personally prefer 10%. 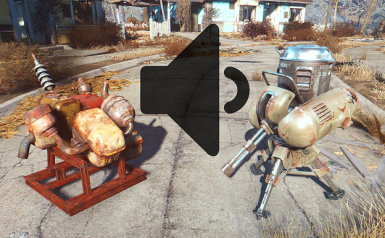 Now the sound of your generators idling won't drown out other sounds in your settlements. Listen to the in-game volume difference in this video made by "tinf". If you like this, you may also like my Quieter Turret Idle Sounds mod.